Every successful business is focused on customer acquisition. It is what they do to bring in a new client. Some businesses depend on social media marketing. Others have the big budget for television advertisements. Of course, all that effort and money poured into customers acquisitions won’t amount to much if your place of business ends up turning off those customers. If you don’t have inventory and your staff isn’t responsive, then a customer might not come back again. Even if you overcome those obstacles you still have to do one last thing to appeal to your customers: Keep the business clean. 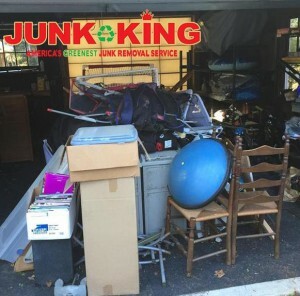 That is where regular junk removal sessions with Junk King Fort Lauderdale can be a huge benefit. You can think of Junk King Fort Lauderdale as an auxiliary work crew. Only this is a crew that won’t be sticking around for an entire shift. The two-man crew assigned to your regular junk removal session will get in and out of your business as quickly as possible. What they’ll leave behind is an empty space where all that old rubbish once was. Regular junk removal sessions is a smart move for a business that gets a lot of deliveries throughout the week. Not only will all those cardboard boxes need to be hauled away but also any old inventory that can’t be sold. The same can be said for outdated promotional materials and displays. All of that can be turned over to Junk King. Junk King Fort Lauderdale is also a green company. They manage to divert the majority of what they collect away from landfills and into recycling programs. By extension, when you hire Junk King you can rightfully boast that you’re company is also green. This is something that your customers will appreciate. As for the cost, you’ll never be charged by the pound with Junk King. The pricing policy is based on volume. It comes down to how much room your junk will fill on the back of the truck. That is a fair approach to this type of work. Keep your business free of rubbish with regular junk removal sessions from Junk King Fort Lauderdale. This entry was posted in Fort Lauderdale Junk Removal and tagged business, Junk King, junk removal on October 31, 2017 by Junk King. Last updated October 31, 2017 .